LSI Logic - SAS 8708ELP LSI MR SAS 8708ELP MegaRAID PCI-Express 8-Port SAS SATA Raid Controller Card L3-01116-16C. 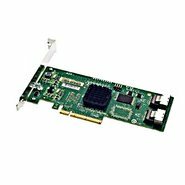 LSI Logic - SAS9207-8i LSI00301 LSI LOGIC SAS9207-8i 9207-8I 6GB/S 8 PORT PCI-E 3.0 Low Profile Bracket SAS/SATA Host Bus Raid Controller Adapter Interface Card H3-25412-00G. 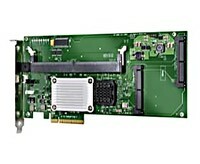 Intel - SRCSAS18E INTEL - 8PORT PCI EXPRESS X8 SAS SATA RAID CONTROLLER CARD WITH 256MB CACHE (SRCSAS18E). NEW BULK. IN STOCK. SHIP SAME DAY. 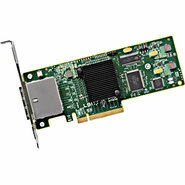 Adaptec - 2269500-R ADAPTEC - 2805 8PORT PCI-EXPRESS X8 SAS SATA RAID CONTROLLER. NO CABLE (2269500-R). NEW BULK. IN STOCK. SHIP SAME DAY. Adaptec - 2269600-R ADAPTEC - 2805 3GB/S 8PORT PCI-EXPRESS X8 SAS SATA RAID CONTROLLER (2269600-R). NEW BULK. IN STOCK. SHIP SAME DAY. 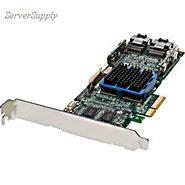 LSI Logic - LSI00200 LSI LOGIC - MEGARAID 9240-8I 6GB 8PORT PCI EXPRESS 2.0 X8 SATA/SAS RAID CONTROLLER WITH LP BRACKET. NO CABLE (LSI00200). NEW FACTORY SEALED. IN STOCK. SHIP SAME DAY. LSI Logic - LSI00195 LSI LOGIC - LSI 9211-8I 6GB 8PORT INTERNAL PCI EXPRESS X8 SATA/SAS RAID CONTROLLER WITH CABLE AND LP BRACKET (LSI00195). NEW FACTORY SEALED. IN STOCK. SHIP SAME DAY. LSI Logic - LSI00188 LSI LOGIC - LSI 9200-8E 6GB 8PORT EXT PCI EXPRESS 2.0 X8 SATA/SAS CONTROLLER WITH LP BRACKET. NO CABLE (LSI00188). NEW FACTORY SEALED. IN STOCK. SHIP SAME DAY. 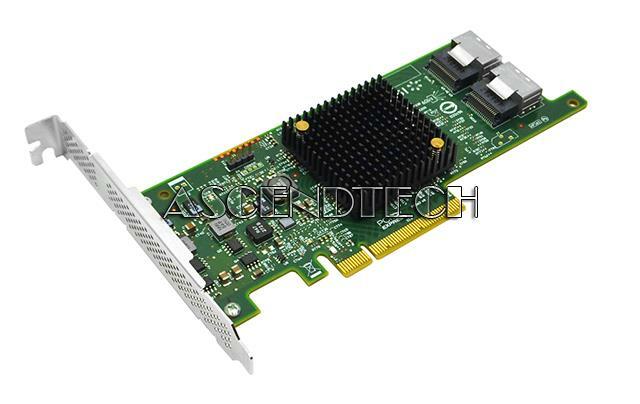 Adaptec - 2244300-R ADAPTEC - 5805 8PORT PCI-EXPRESS X8 SATA/SAS LOW PROFILE RAID CONTROLLER WITH 512MB DDR2. NO CABLE (2244300-R). NEW BULK. IN STOCK. SHIP SAME DAY. 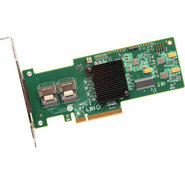 LSI Logic - 8708ELP LSI LOGIC - MEGARAID 8708ELP 8PORT PCIE SAS/SATA RAID CONTROLLER WITH 128MB CACHE (8708ELP). NEW BULK. IN STOCK. SHIP SAME DAY. 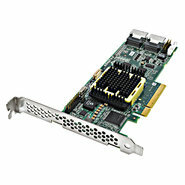 Adaptec - 2252100-R ADAPTEC - 3805 8PORT PCI EXPRESS X4 SATA/SAS LOW PROFILE RAID CONTROLLER WITH 128MB CACHE (2252100-R). NEW FACTORY SEALED. IN STOCK. SHIP SAME DAY. 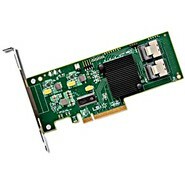 LSI Logic - LSI00205 LSI LOGIC - MEGARAID 9280-8E 6GB 8-PORT PCI EXPRESS X8 LOW PROFILE SAS/SATA RAID CONTROLLER 512MB. NO CABLE (LSI00205). NEW FACTORY SEALED. IN STOCK. SHIP SAME DAY.